As for the moment, Olympus PEN E-PL6 is available at a much lower price than Sony a6000. Hence, people begin to wonder if they should go straight to Olympus PEN E-PL6 or save a little more dollars in order to get the famous Sony a6000. Are you having the same question? No worries, buddy! Here, we will see the advantages of each product and see if Olympus PEN E-PL6 can be a viable alternative. To begin with, both products are mirrorless digital cameras having articulating screens, external flash shoes, and AE Bracketing features. The articulating screen is nearly a must nowadays, as it not only looks cool, but also helps a lot in providing more flexible shooting positions from difficult angles. The external flash shoe is good for flash photography, allowing you to spread the flash more properly. The AE Bracketing is a huge help in tough lighting conditions and HDR photography, as the feature will allow your camera to take multiple shots rapidly with varying exposure values in order to capture as many colors and details as possible. Unfortunately, neither model is waterproof. Being the pricier model, we may not be surprised upon finding that Sony a6000 comes with more advantages over Olympus PEN E-PL6. The most noticeable distinction is that it comes with an astonishing 24 MP APS-C sensor. Enhanced even further with a very smart and reliable autofocus system featuring 179 total focus points, it can easily breathe much more details into your pictures. It also has larger pixel area which then translates into better, more accurate colors and more realistic dynamic range. It also has a maximum ISO of 51,200. To compare, Olympus PEN E-PL6 only has a 16 MP sensor with 35 focus points and 25,600 maximum ISO. In addition, Sony a6000 is also a great choice for sports photography as it has an 11 fps photo burst. It has built-in Wi-Fi, flash, and viewfinder. First, of course, the price. Olympus PEN E-PL6 is only a little bit more expensive than the half of Sony a6000’s price. Second, it supports time-lapse recording. Third, it has built-in three-axis image stabilization system, which can erase the blurs in your images caused by unsteady hands. Last but not least, it has a touchscreen control, which may or may not be good depending on your personal preference. Some people like a touchscreen control, but some others prefer dial buttons that are easier and quicker to access. So, should you take Olympus PEN E-PL6 instead of Sony a6000? We recommend you to stick with Sony a6000, unless you really need the image stabilization feature. 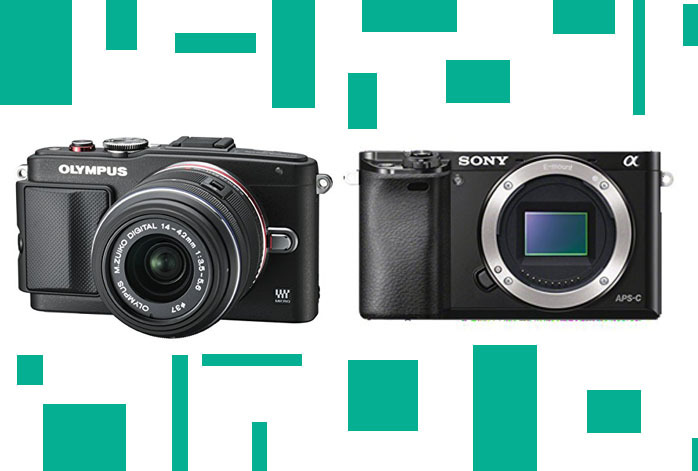 Nevertheless, Sony a6000 brings a lot more quality and convenience, so it is worth the price.